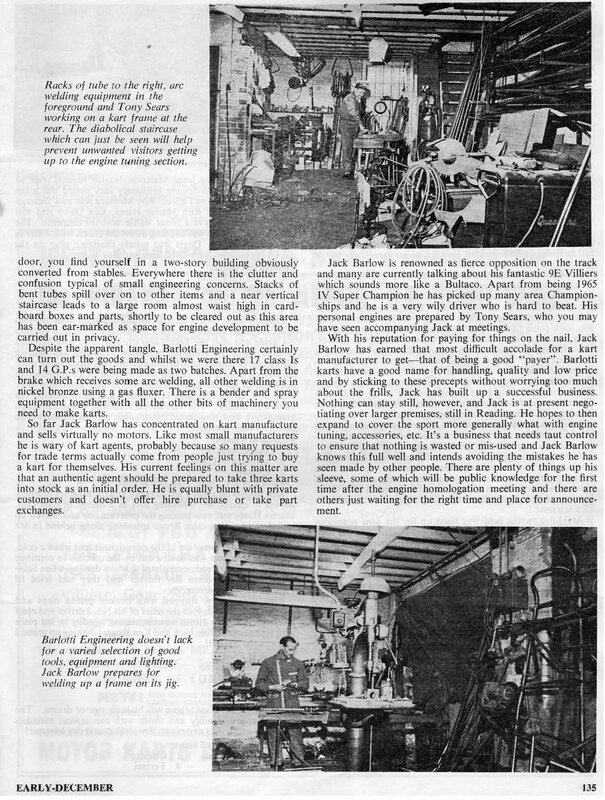 A few pages about the man who was Barlotti, Jack Barlow. "Been digging out some old photos, and came across the attached. 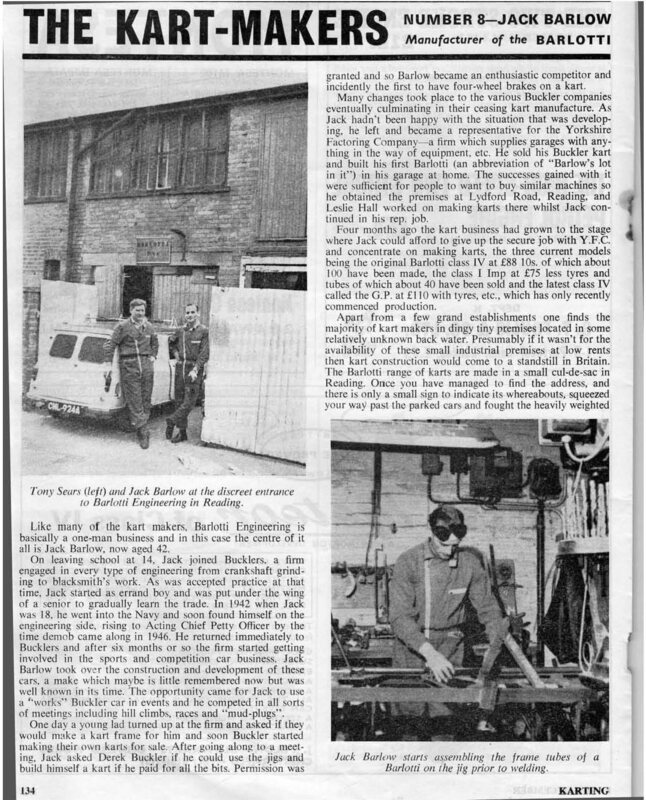 This is our trip up to Mallory Park in late spring 1961 for the famous racing drivers invitation event. 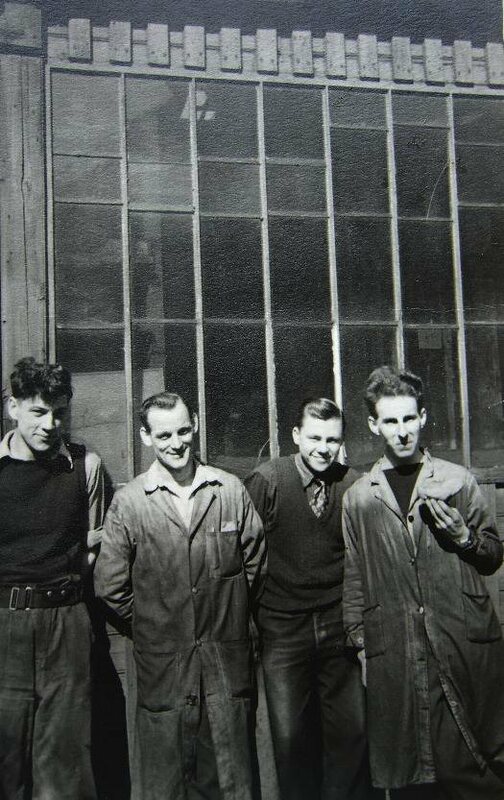 This is Mick Cox-Wilson, Jack Barlow on, I think, his first official trip out for Buckler, alos my then girl friend and my VW Transporter van. We filled up with National Benzole - then the highest octane fuel available." 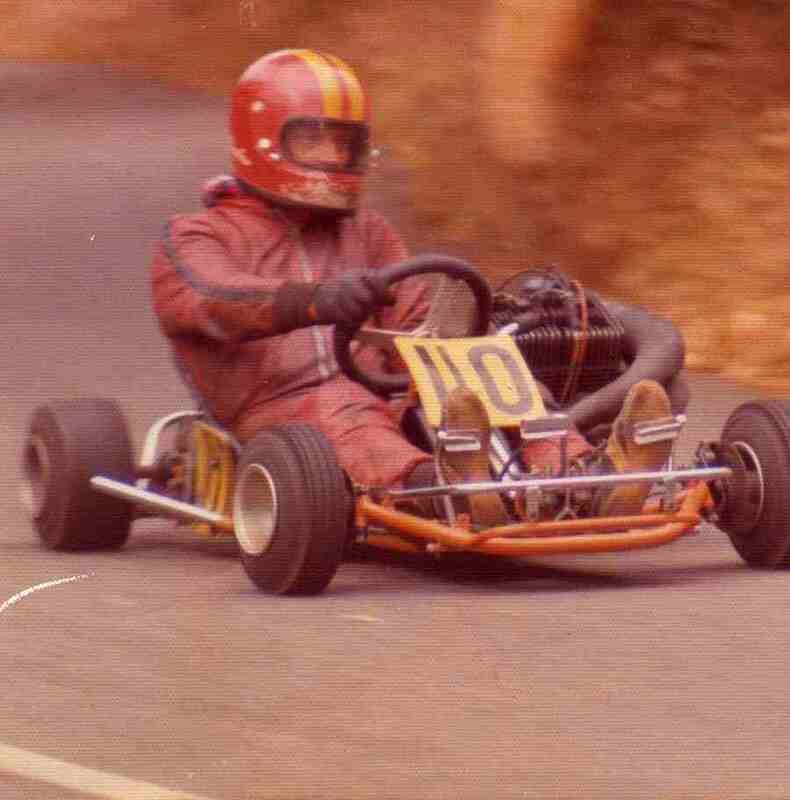 Many thanks Brian, a great glimpse of karting history. 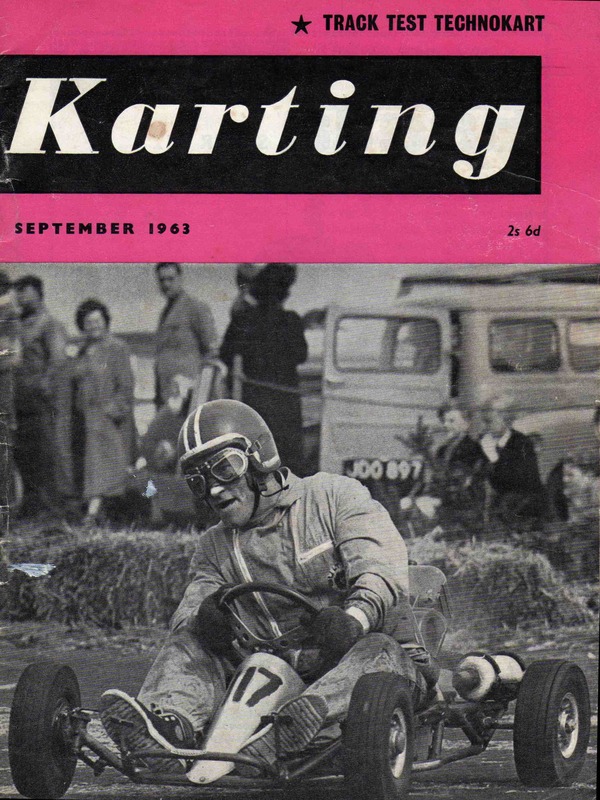 Cover Photograph Karting Magazine September 1963. 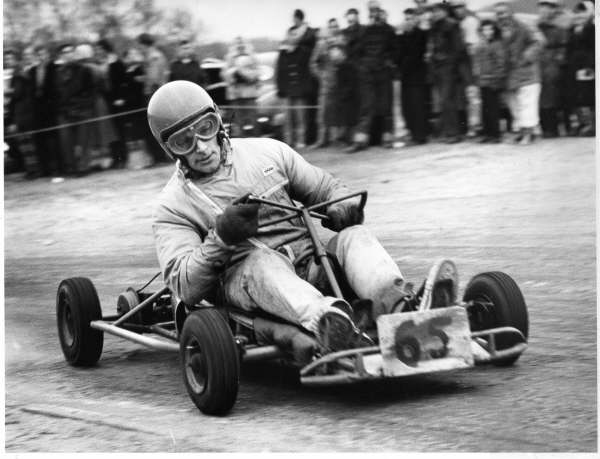 Caption said: Well-known Jack Barlow, here seen on a Buckler Gold Star Komet, has been appointed British team manager for the "gearbox" International against the Italians at Bath on September 21st.